You are going to Watch RWBY Volume 1 Episode 7 online free episodes with HQ / high quality. Stream cartoons RWBY Episode 7 Online Jaune is having a staged match with Cardin in the assembly area and is soundly defeated. Following the match, Glynda Goodwich advises a dispirited Jaune about the efficient use of his aura during combat. After Nora describes a recurring dream during lunch, the other members of JNPR and the members of RWBY express concern about Cardin bullying Jaune. They point out various incidents of bullying and offer some help, but Jaune dismisses it. In the meantime, Cardin and his teammates are bullying a bunny-eared Faunus girl named Velvet. As Jaune leaves the table, Cardin is shown eyeing Jaune. Professor Oobleck is conducting a lecture on the Faunus War and follows up with a series of questions. Cardin gets an inattentive Jaune called upon to answer one, and Jaune struggles to answer. Pyrrha tries to signal the answer to Jaune, but he misunderstands and answers incorrectly. Cardin is asked the same question and gives a mildly offensive answer. In response, Pyrrha gives the proper answer. 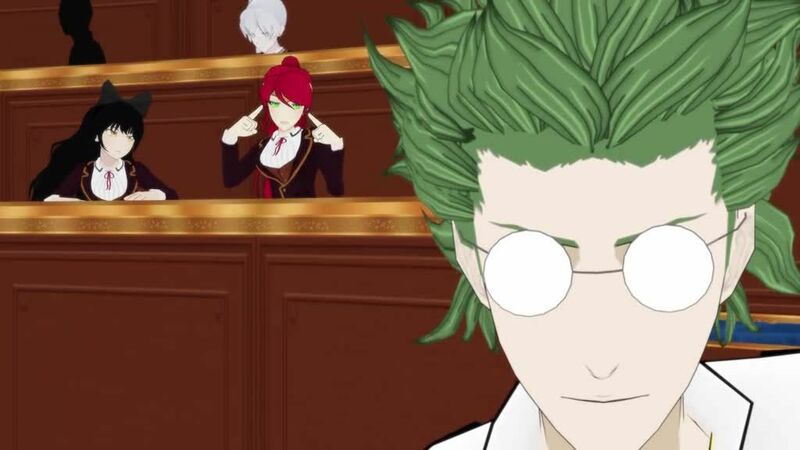 After class, Oobleck assigns Jaune and Cardin extra work to address their poor grades. Pyrrha talks to Jaune on the roof about his struggles and wants to help him. He responds that he does not deserve to be there, confessing that he used fake transcripts to get into Beacon. Pyrrha leaves at Jaune’s request, but Cardin shows up and says he heard the confession. In turn, Cardin blackmails Jaune to be his “friend” and do his class work in exchange for silence.